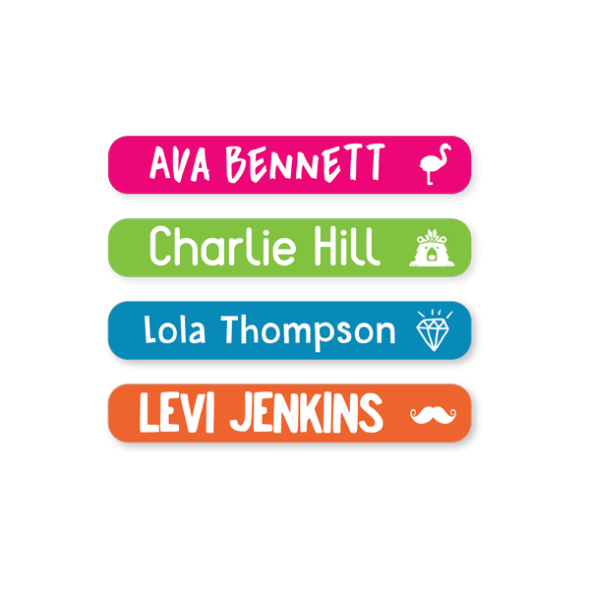 Use our long lasting, durable Iron On Clothing Name Labels for an easily recognisable name tag that will keep your family's clothing, linen and socks coming back to their drawers. Use Mini Clothing Name Tags for smaller items like sun hats and use Medium or Round Clothing Dots for shirts, shorts and jackets. Keep a stash of our Shoe Labels in your laundry and say goodbye to lost shoes! We know just how easy it is to (somehow!) lose a shoe at the playground, on an outing or at a school field trip! 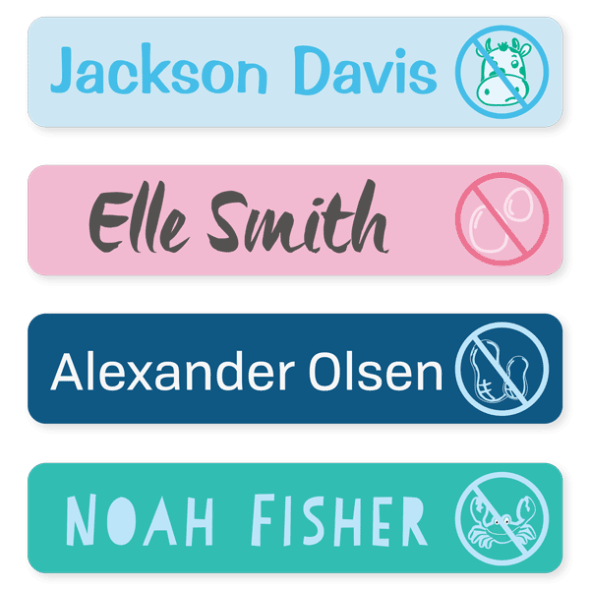 Our shoe labels will put a stop to rummaging around in Lost and Found to find that elusive sneaker or school shoe. 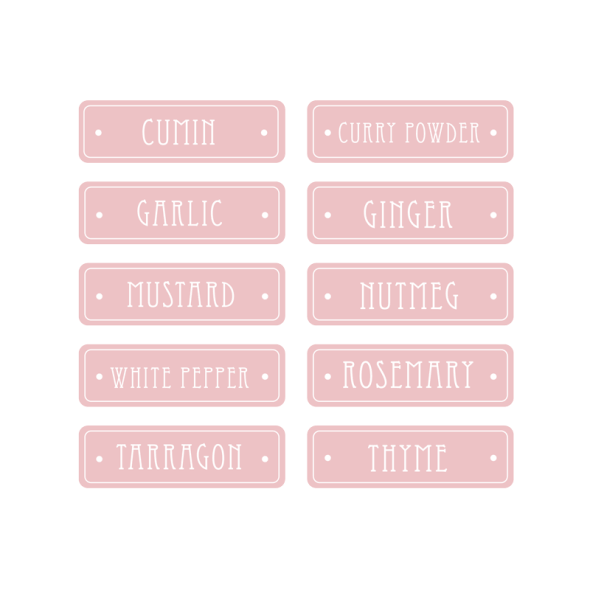 Our Pantry Labels are the ultimate labels to help you keep your kitchen organised. Our labels are hardy and will stick for as long as you need them to. However, they are also easy to remove without leaving a sticky residue, meaning you can change around your labels as you please. 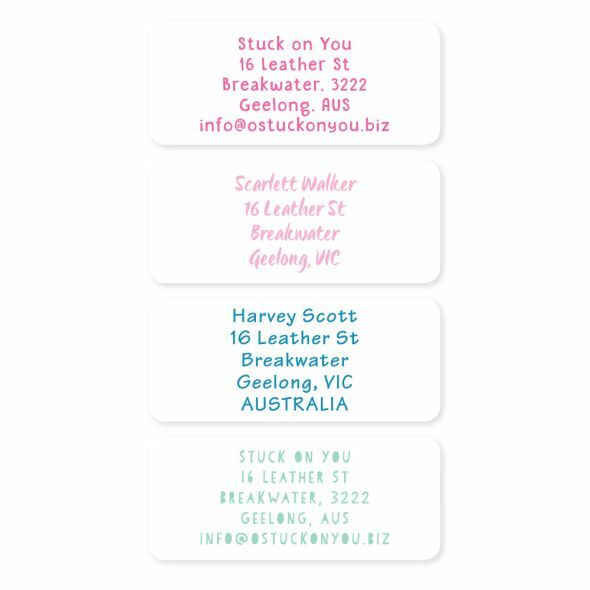 Our Basic Address Labels are a nice size for food containers, frozen or not. There’s space for a name and phone number so that your containers always return home and the Basic design makes them great for all occasions, especially as your children get older! 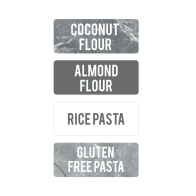 They are freezer safe and make keeping track of frozen goods easier than ever! Keep your Address Labels handy in the desk and kitchen drawers to quickly finish packing an envelope with a personal and practical touch. 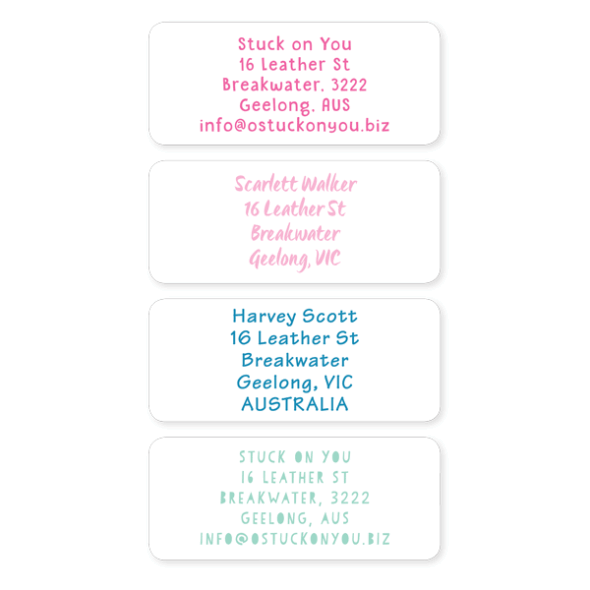 A great addition to invitations as your guests will be able to RSVP easily with no mistakes as your return-to-sender address can be clearly visible on everything you send! 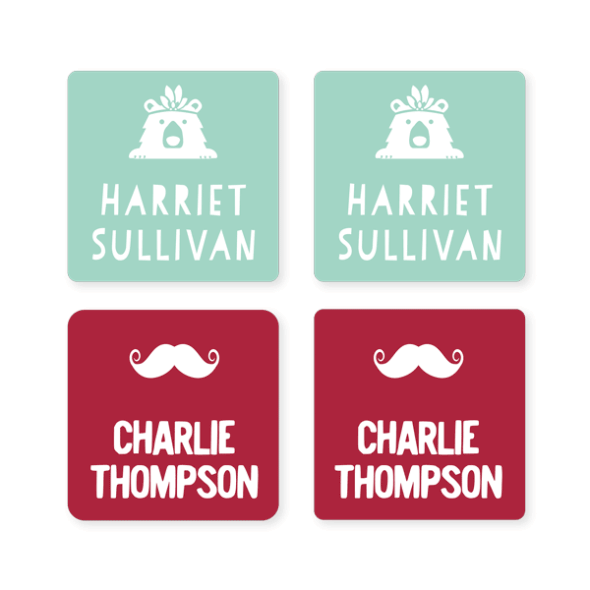 Personalised Book Labels are the perfect solution for labeling books, diaries, binders, folders and more! These are adhesive paper labels that are personalised with "This Book Belongs To" text so there's no disputing who it belongs to! If you want a bit more freedom or more room for text go for a Custom Text Label instead. 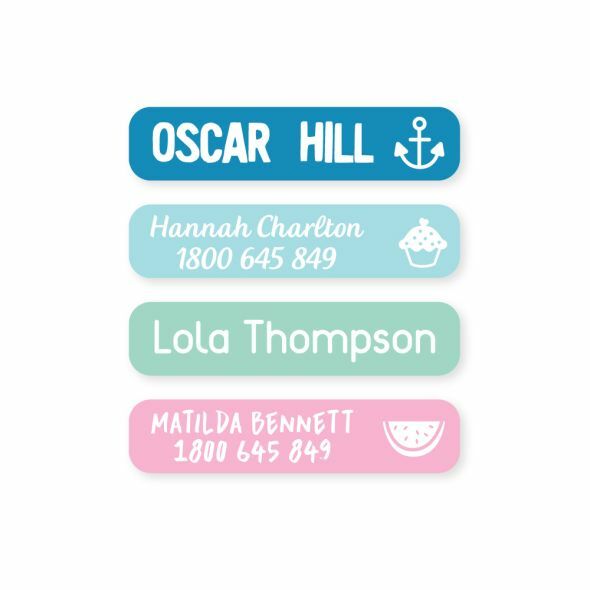 Our Our personalised name stickers make organising the home office are safe in the microwave, dishwasher and freezer, plus they come with a scratch resistant coating making them waterproof and super long lasting. 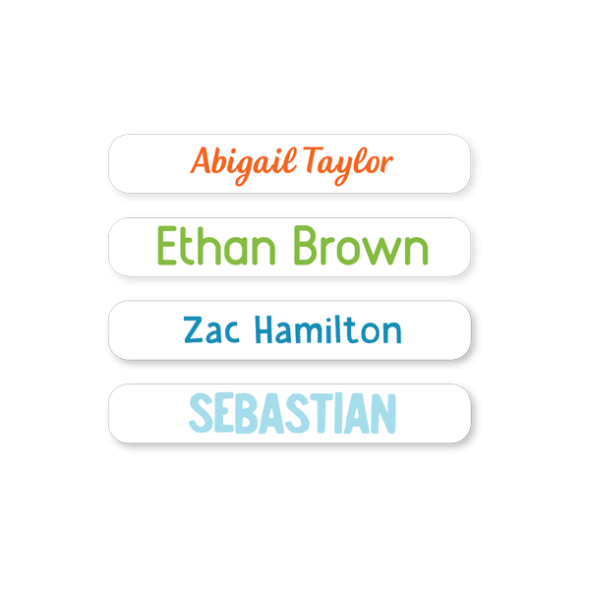 These quality stick on name labels will go the distance on lunchboxes, tupperware, jars, snack bags and containers. 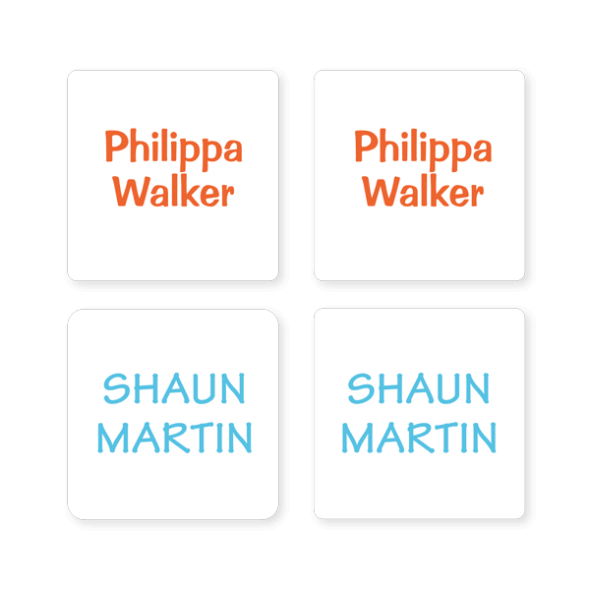 Our custom name labels can be personalised to suit your family's personality and showcase your individuality whilst helping to keep your home a more organised place. Perfect for the office. 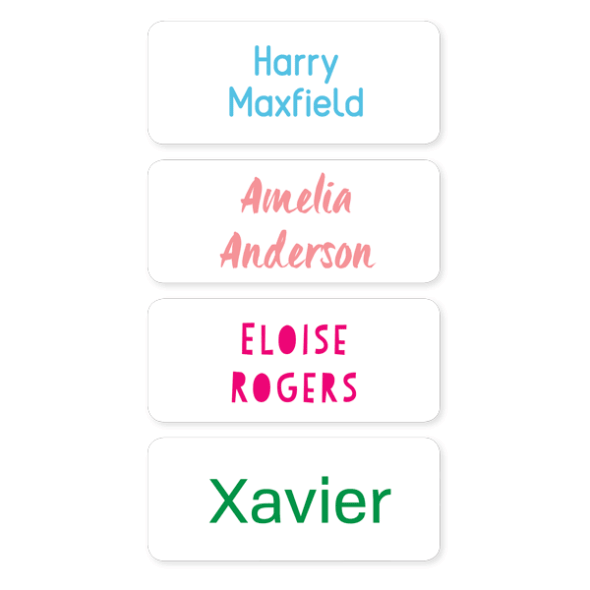 Organise your family with our gorgeous range of Household Labels. 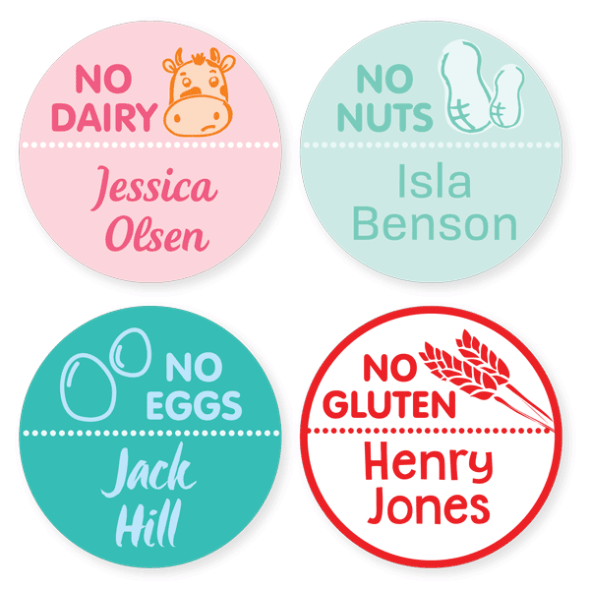 From the kitchen, to the laundry, to the home office - we've got the perfect labels for your home! 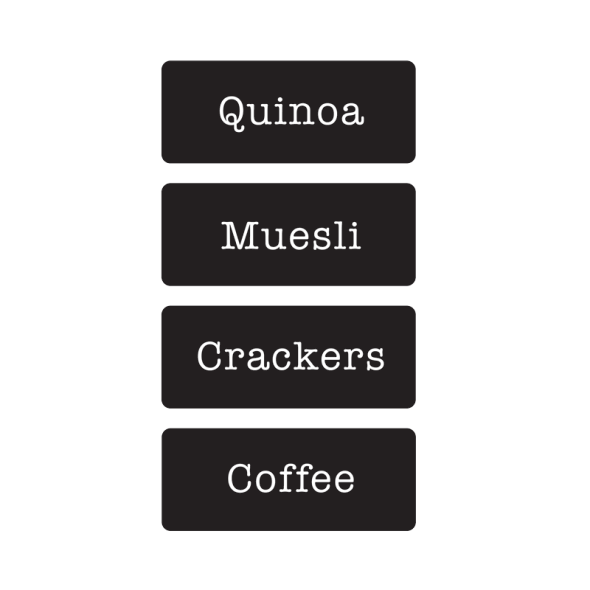 Your pantry staples will have never looked so tidy with our range of Personalised Multi Use Labels. 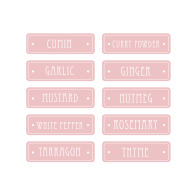 All our our labels are waterproof, microwave dishwasher and freezer safe and coated for extra scratch resistance. You can't go wrong! 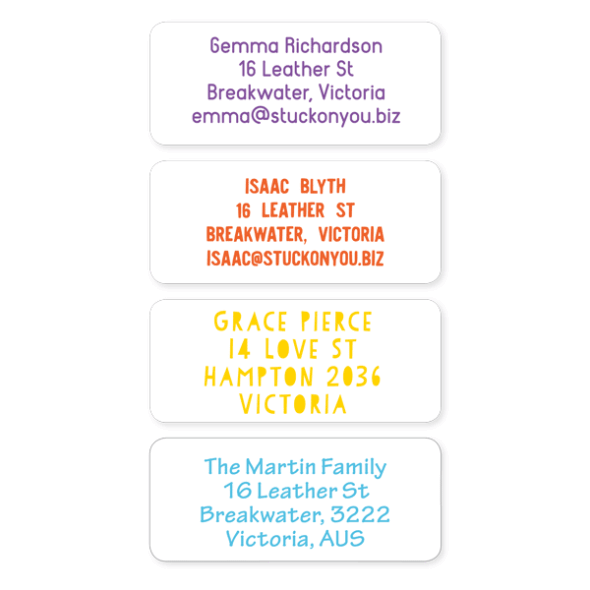 Our Personalised Address and Name Labels make sending pressies or letters a joy! 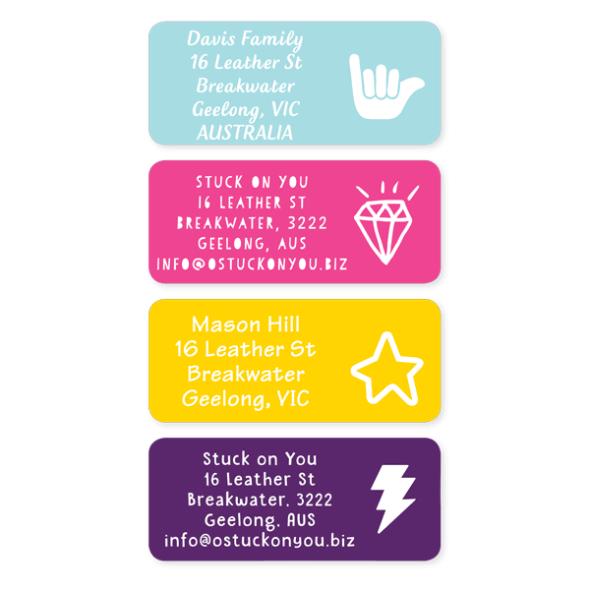 Easy to use and really, beautifully designed, you will fall in love with Stuck On You Labels. 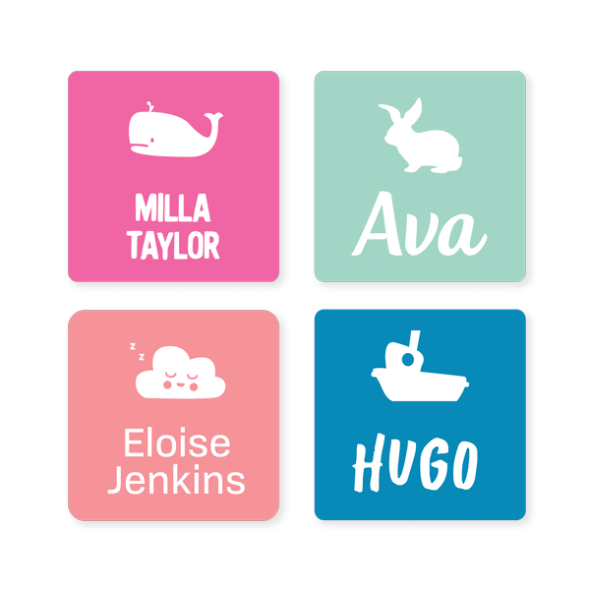 While our Book Labels will ensure you can finally loan your precious books out without fear of them never returning. Jazz background colours with a Skull icon. 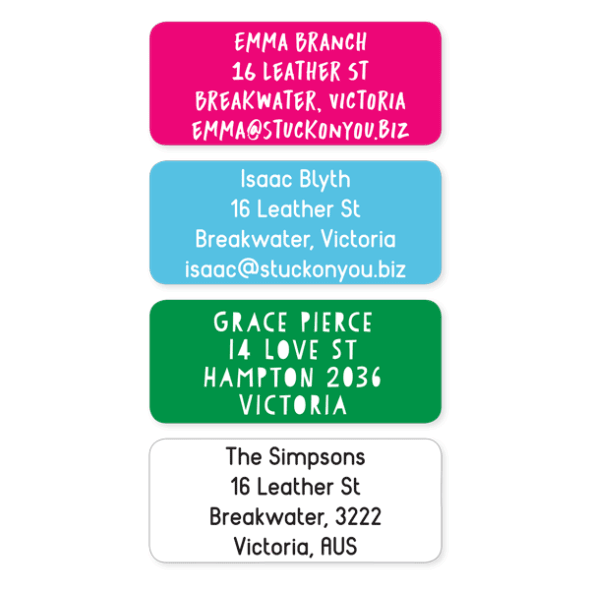 Find a favourite text colours and font combination for a set of elegant, practical labels. 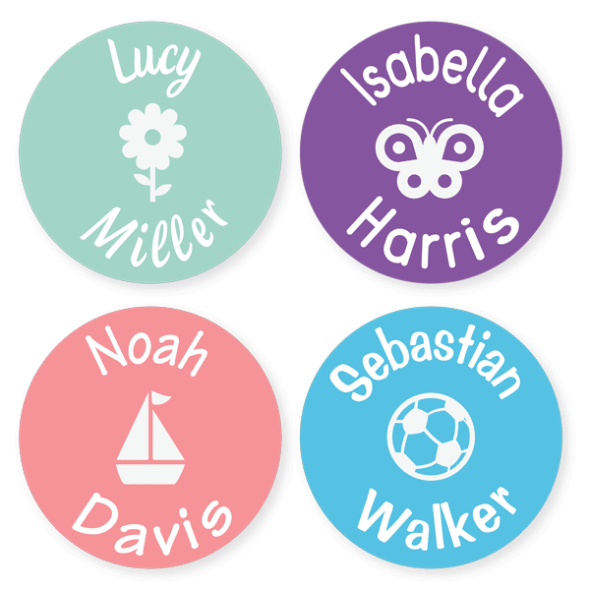 Great for families to show just a surname or for older kids that are a bit too cool for bright purples or cute fox designs. Clear Labels: discrete label solution, great for when you don’t want to draw too much attention. 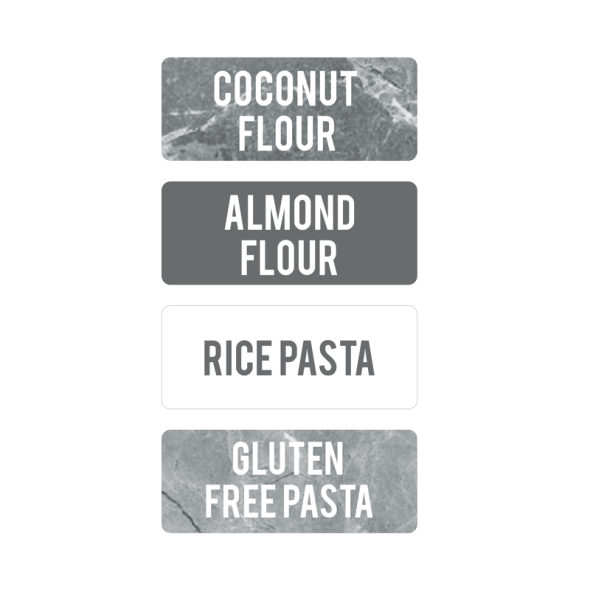 Clear Labels have a transparent background, meaning all you have to do is choose the colour and font of the text. 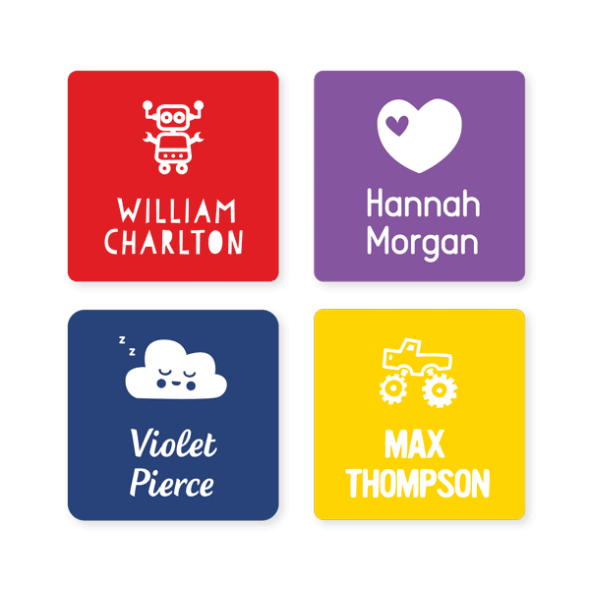 They are perfect for keeping your belongings labelled without the fuss of making your name into a piece of art. 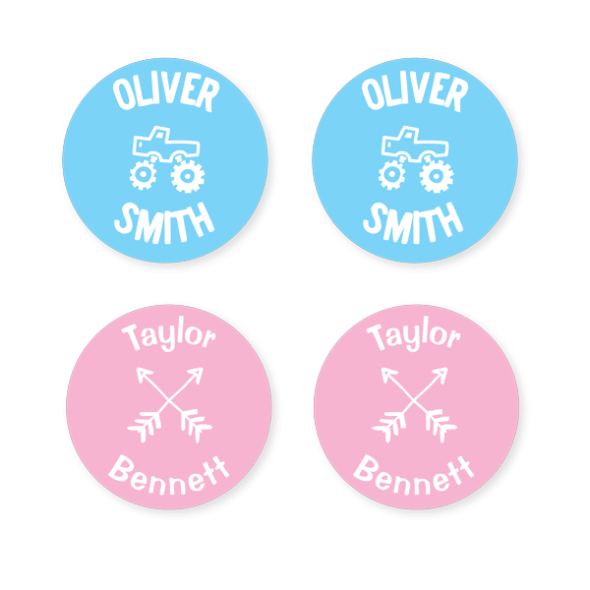 Choose from simple shapes like circles and squares or have fun with a crown or flower shape. Great for sports equipment, books, musical instruments, stationery and the list goes on.